I love being a Hamilton Beach Brand Ambassador -- because it gives me the opportunity to try out their amazing small kitchen appliances! 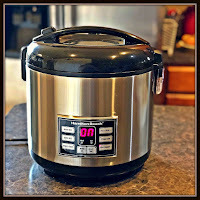 This month, I've been having a great time using the versatile Hamilton Rice & Hot Cereal Cooker, From breakfast to dinner, the Hamilton Beach Rice & Hot Cereal Cooker lets me cook a wide range of foods! 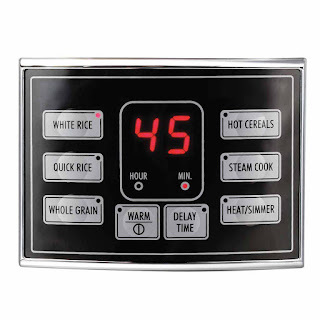 I can definitely use it to cook grains, hot cereals, and rice mix without boiling water or setting a timer. I simply add my ingredients to the cooker's nonstick pot, turn it on, and select the proper cook setting. 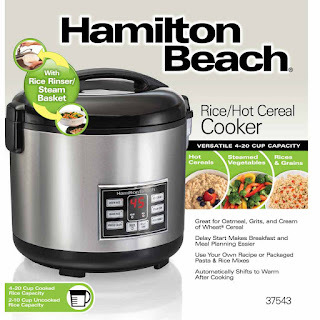 Then I sit back and let the Hamilton Beach Rice & Hot Cereal Cooker cook it to perfection. An included 2-in-1 basket can be used to rinse rice or grains before cooking -- or it can be used to steam veggies or seafood. 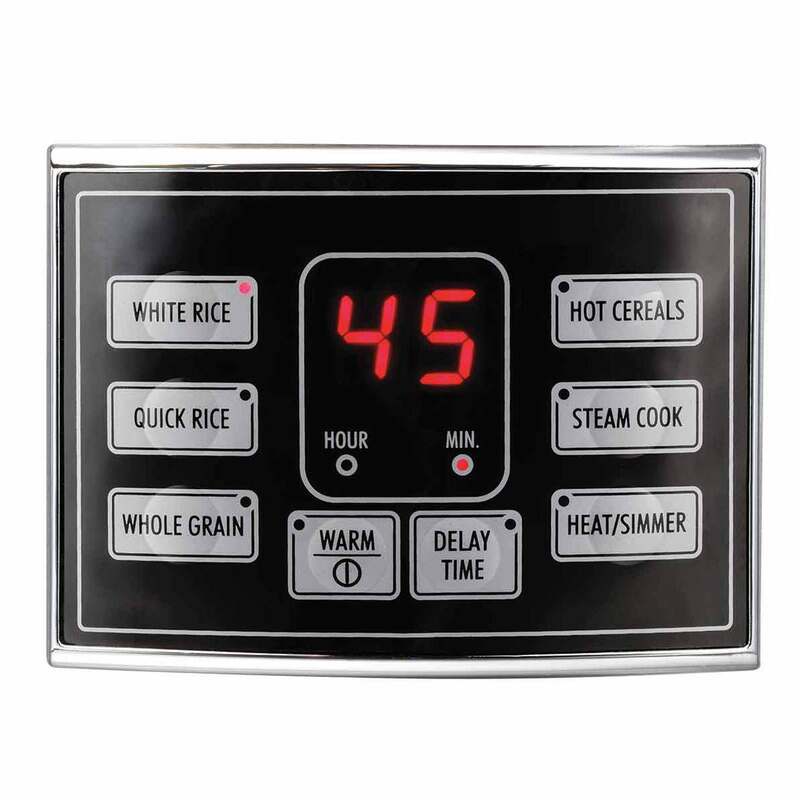 The cooker's delay start function allows me to plan ahead -- I can set oatmeal to cook before bed to save time and stress in the morning! The cooker automatically shifts to a Warm function once the cooking cycle is complete. 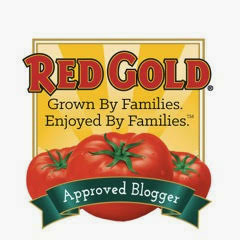 Steam Cook: Cook healthy vegetables, meats, fish, and more to perfect tenderness with Steam Cook. 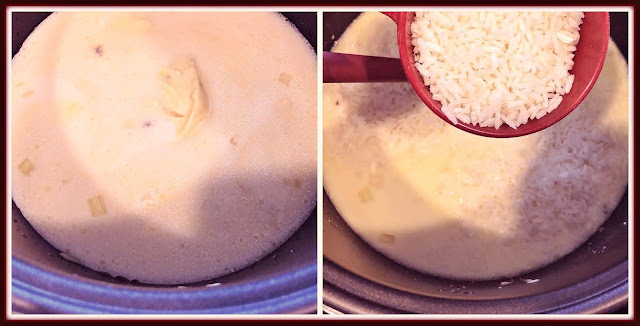 Rice & Grains: There are three different settings. 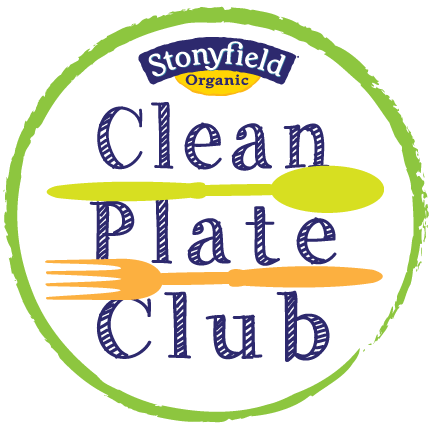 White Rice, Quick Rice, and Whole Grain -- which lets you cook everything from a 10-minute batch of white rice to farro, quinoa, and other whole grains. 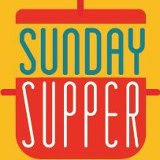 Heat/Simmer: Use the Heat/Simmer function to make flavored pasta and rice mixes, beans, soups, and other one-pot meals. I used the Hamilton Beach Rice & Hot Cereal Cooker's Heat/Simmer function and handy steamer basket to cook my Smoky Cheesy Broccoli-Cauliflower Rice Soup! From sautéing the onion and celery...to steaming the broccoli and cauliflower...to simmering the soup to creamy perfection...the cooker made a perfect pot of soup. I love eating soup all year long -- even in Summer. 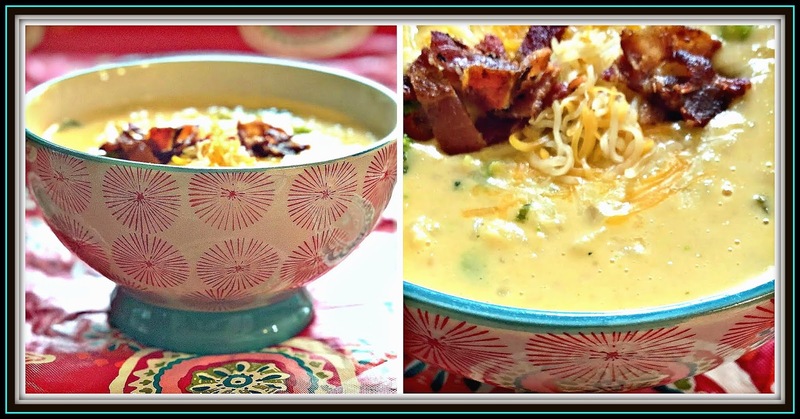 I especially loved that making this hearty soup didn't heat up my kitchen at all. Everyone in my family went crazy for this soup, which was ready to eat in less than 45 minutes -- most of that hands-off simmering. Step 1: Turn the Hamilton Beach Rice & Hot Cereal Cooker on and select the Heat/Simmer setting. 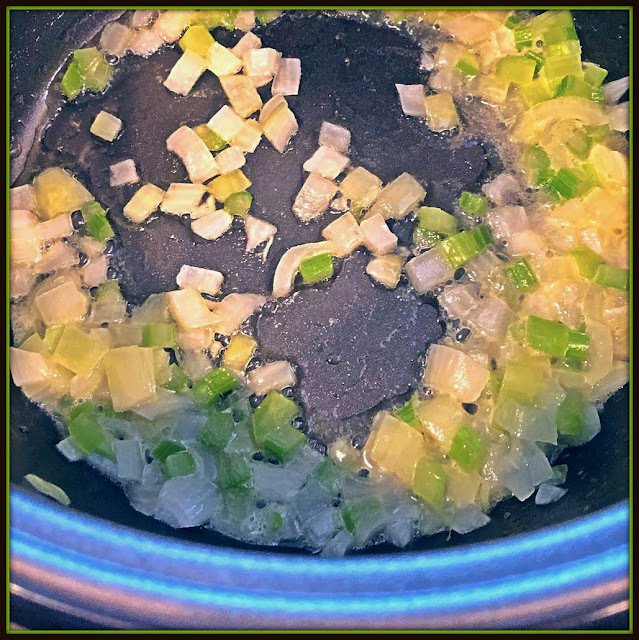 Add the butter; when melted and bubbly, add the onion and celery. Saute until the onion is translucent and the celery is softened, approximately 5 minutes. Step 2: Add the evaporated milk + water, 2 cups chicken broth, and Cream of Chicken & Mushroom Soup to the cooked onion and celery. Stir until the soup is completely dissolved in the liquid ingredients. Add the rice and stir to combine. 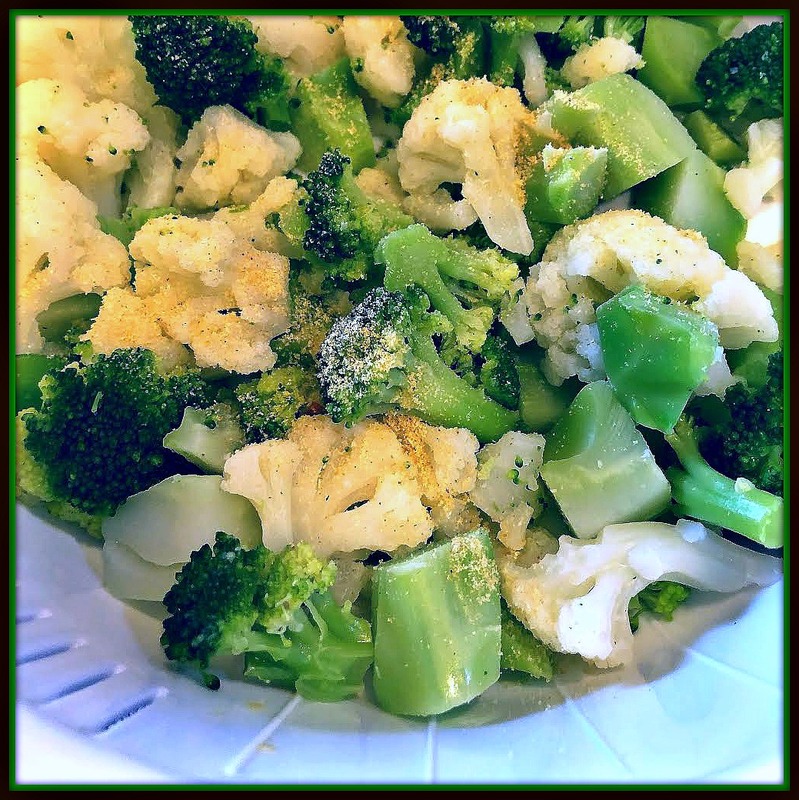 Step 3: Add the frozen broccoli and cauliflower to the steamer basket, sprinkle with the garlic powder, and place it in the top of the cooker -- above the soup. Close the cooker and simmer until the quick-cook rice and veggies are cooked, approximately 10 minutes. Step 4: Remove the steamer basket from the cooker. Stir the soup to ensure the cooked rice is evenly incorporated and not sticking to the bottom of the cooker. 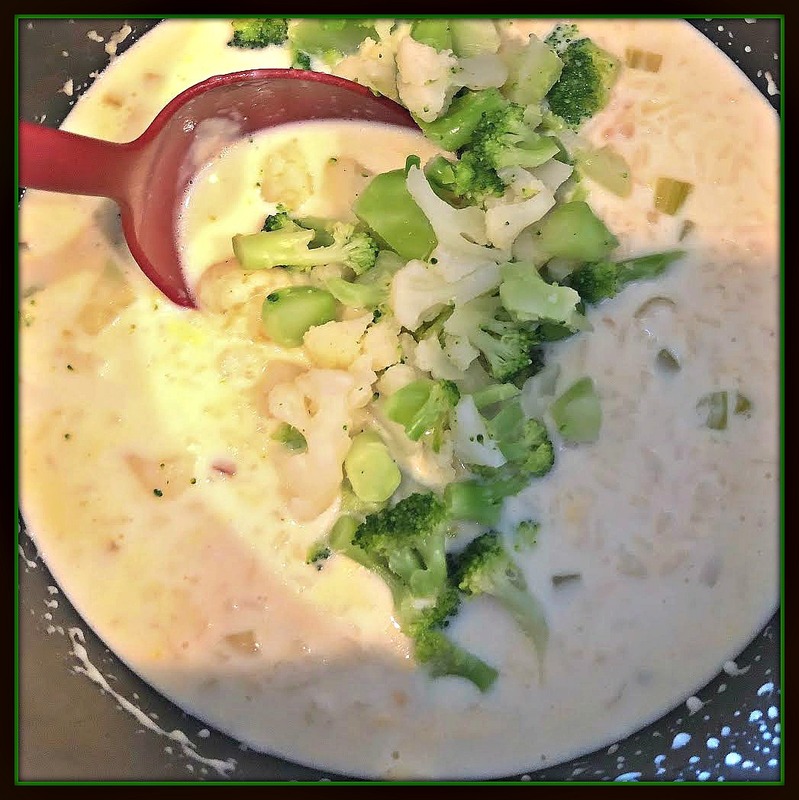 Add the cooked broccoli and cauliflower, the 2% milk, and the remaining 2 cups of chicken stock. Give everything a good stir to combine. Step 5: Add the shredded Velveeta to the soup and stir. Close the cooker and simmer for 5 minutes so the cheese can melt. 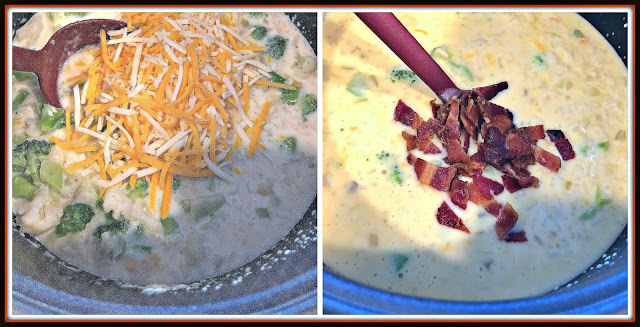 Open the cooker, add the crumbled bacon, and give the soup one last stir to evenly combine all of the ingredients into the pot of soup. Step 6: To serve, ladle the soup into serving bowls. Garnish with additional shredded cheese and crumbled bacon. This hearty soup is essentially a complete meal in a bowl -- but warn bread served on the side for dipping is an excellent accompaniment! Mercy...is this soup delicious! If you love broccoli-rice casserole, you'll go nuts for this rich soup. 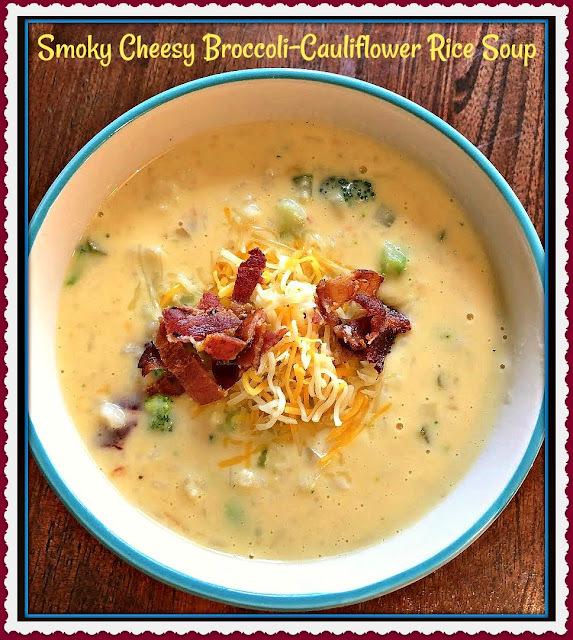 I loved the addition of cauliflower and bacon...but feel free to use all broccoli if you prefer. 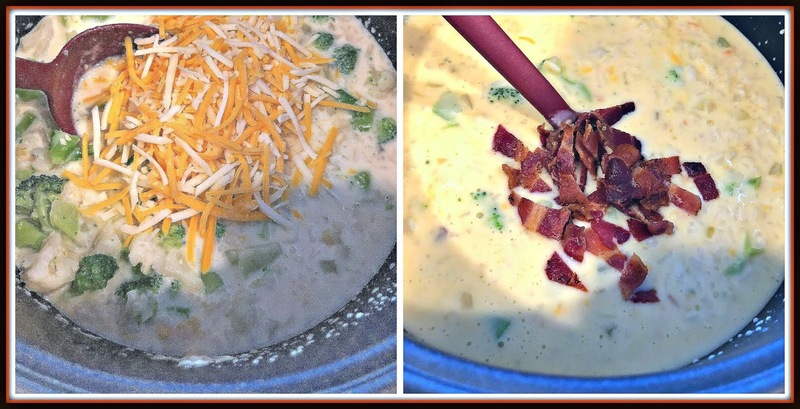 To make the soup veg-friendly, leave out the bacon and use Cream of Mushroom soup. 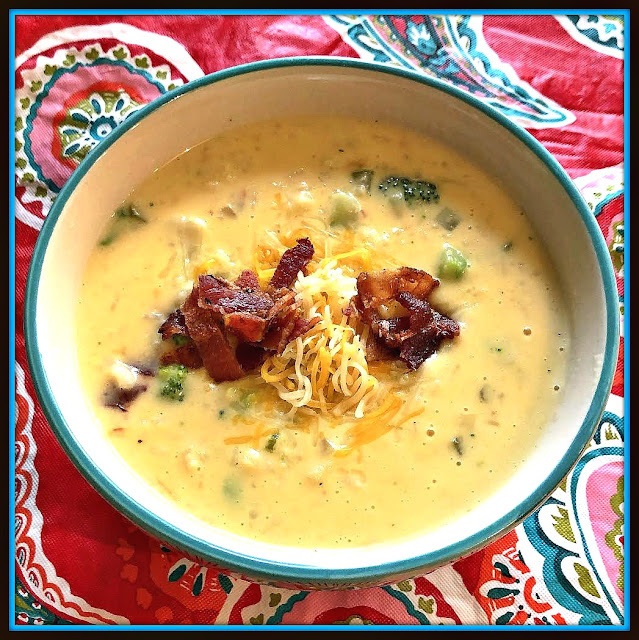 Y'all...this is seriously good soup that I can't wait to make again and again. 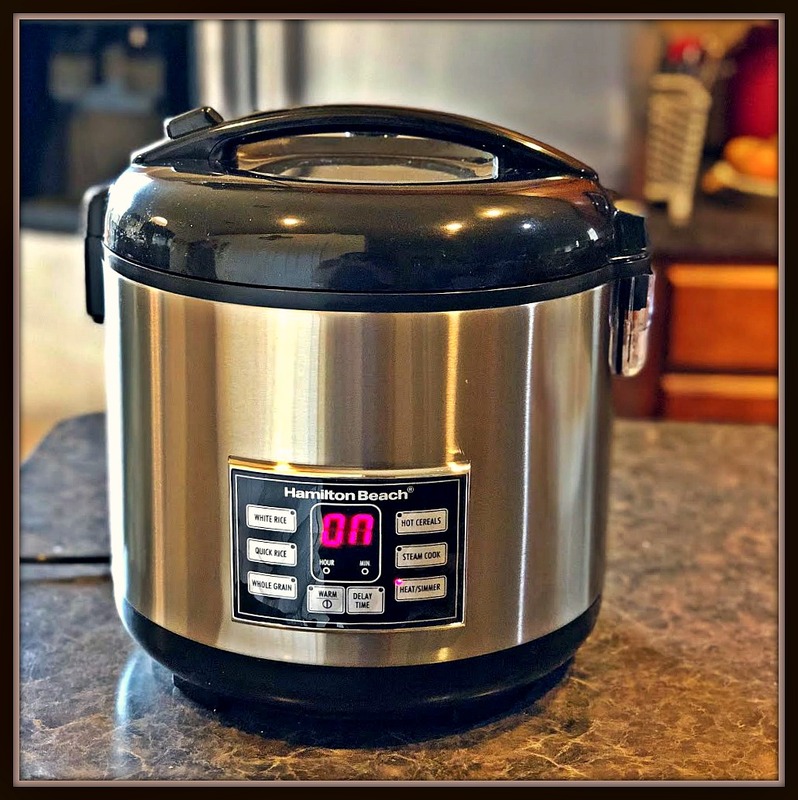 To purchase one of these versatile 20-cup capacity Hamilton Beach Rice & Hot Cereal Cookers for your kitchen, be sure to visit Amazon.com -- where it retails for less than $50! 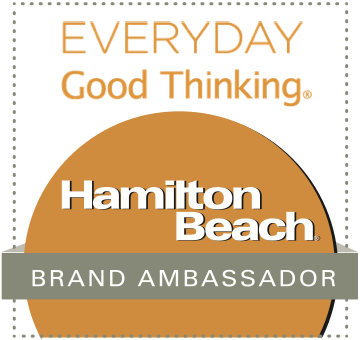 I'm also partnering with Hamilton Beach to giveaway one of these essential kitchen appliances to one of my readers! To enter, simply follow the directions in the Rafflecopter. I will accept entries until 1159 p.m. on Saturday, July 14th. The winner will be notified via e-mail on Sunday, July 15th. The winner will have 24 hours to respond with their shipping information. If a response is not received by this deadline, a new winner will be chosen via Rafflecopter. Prize winner must be 18 years or older and reside in the 50 United States or Washington, D.C. Hamilton Beach is unable to ship to P.O. boxes. Good luck! 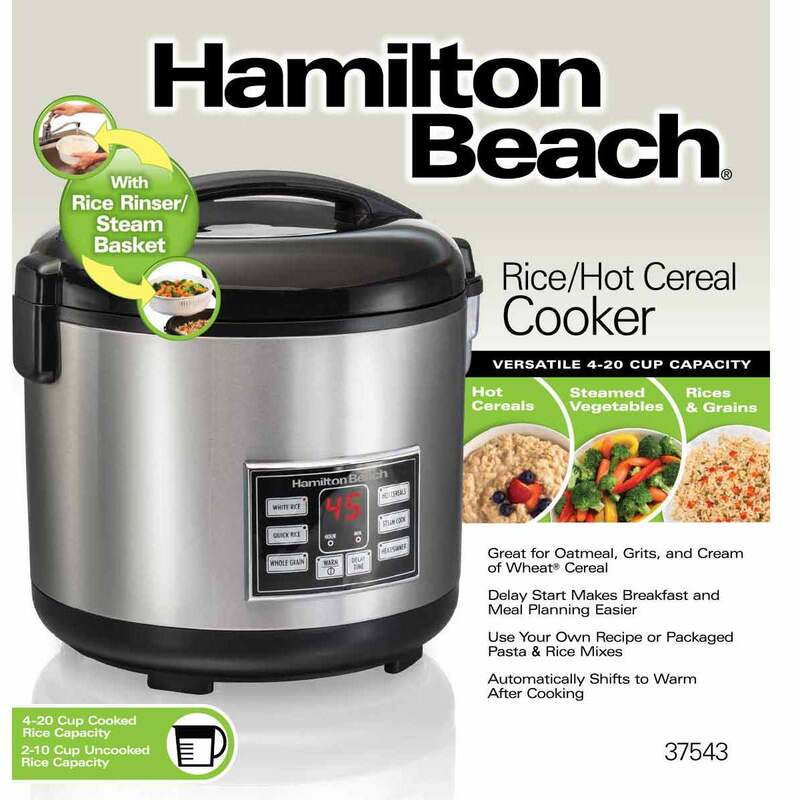 Disclosure: Hamilton Beach provided me with a sample Hamilton Beach Rice & Hot Cereal Cooker to facilitate this post. All opinions state about the product are solely my own..